It’s understood that the electronic cigarette market has always moved at a daunting pace, where new products surface what seems to be each week. As a result, vendors carrying these products and the manufacturers who make them are constantly upping the anty with the next ‘hit item’ to rock the scene. This steady flow of competitiveness has influenced some to meet the demand of these vendors and manufacturers by offering ecig advertising services to help build that next company or brand. And so… the Ecig Advertising Group has emerged. With analysts estimating that the electronic vaporizer market is at an outstanding $2.5 billion with projections of continuous growth, entrepreneurs are quickly making their way to the thriving industry. The figures and spark of opportunity has inspired a slew of ecig companies to rise in the heat of the moment, placing their attention on the marketing of their company, brand and products. In fact, last year ecig marketing budgets for the largest ecig companies grew by more than 100% year over year. There were six of the largest companies that spent nearly $60 million combined on advertising and promotions. As a result of this high demand for ecig advertising, a group of highly recognized and experienced figures within the electronic cigarette industry came together to create an industry group that offers advertising solutions specifically designed for the ecig industry. The Ecig Advertising Group (ECAG) is comprised of a group of experienced individuals that know the importance of ecig advertising. Through various community and industry ties, ECAG is able to offer ecig advertising specific solutions and pin-point proven strategies that provide industry leading results. Ecig advertising is a hot topic these days because the competition within the industry has become so thick. The trouble these companies face is that electronic cigarette advertising or anything related is restricted on many networks, leaving ecig companies disgruntled from limited options of exposing their company and brand to the public. This is why it is vital for a company such as the Ecig Advertising Group to provide services that do not have restrictions and allow ecig advertisers to get their brand seen by vapers at a low-cost. 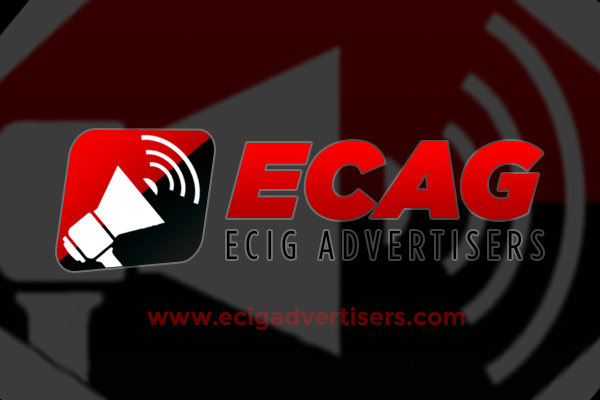 To learn more about the Ecig Advertising Group, feel free to visit www.EcigAdvertisers.com.